Hans-Peter Meister, PhD, is a sustainability entrepreneur and pioneer in the network society. He is also founder and president of Meister Consultants Group. 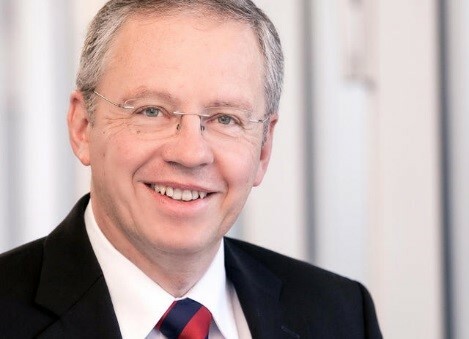 After serving in the German Federal Government as a press relations officer for the Minister for Environmental affairs, Dr. Meister launched his business career at BASF AG, where he managed the firm’s political communication and sustainability innovation programs. Guided by the conviction that challenges can be best solved and solutions can be best implemented at the intersection of markets, politics and civil society, he founded IFOK GmbH (Institute for Organizational Communications) in 1995, which is today a leading German consulting firm with offices in Bensheim, Berlin, Munich, Düsseldorf, and Brussels. IFOK GmbH is founded on the principle that change can only be sustained with the willing support of those it impacts and that cutting edge communication and participation strategies are essential to help clients shape and manage change. Dr. Meister holds a doctorate in Biology from the Julius-Maximilians-Universität Würzburg. He lectures at several universities, including Georgetown University in Washington DC and the Hertie School of Governance in Berlin. He is the author of numerous books and articles, including Participation – a Program for Politics, Business and Civil Society (Beteiligung – ein Programm für Politik, Wirtschaft und Gesellschaft), which was published in 2007. His latest book, Mediation and Dialogue for large infastructure projects. Expansion of the Frankfurt International Airport – process, experience and conclusions (Mediation und Dialog bei Großprojekten. Der Ausbau des Frankfurter Flughafens – Verlauf, Erfahrungen, Folgerungen) summarizes his experiences of mediating and resolving complex societal conflicts within the last decade.